Smoke and carbon monoxide alarms are essential home safety equipment that help minimize the risk of smoke and poison gas to humans by alerting their presence. Here are some tips to ensure that your alarms remain in good working condition. Check and test your alarms every month to ensure that they are in good working condition. Most hard-wired models have a green light to indicate the unit is powered and operational. Be sure your smoke alarm is a newer model that is a photoelectric sensor type, not the older lonization type. Photoelectric alarms are more sensitive to smoldering fires rather than flaming fires. Some alarms contain both technologies. Be sure all smoke and CO alarms have fresh batteries. Discard and replace any alarms more than 10 years old. Clean the alarm with a vacuum cleaner every six months. This will remove dirt and dust that may hinder performance of the alarm. If the alarm uses an alkaline battery, you should replace it every year, Lithium batteries work for a long time and should be replaced after about 10 years. 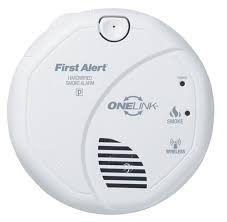 Many alarms now have a permanent battery and require complete replacement every 7 to 10 years. Consider replacing your smoke alarms every 10 years. The sensitivity of the smoke alarm reduces during the lifespan of the smoke alarm. Some Manufacturers place an expiration date on the smoke alarm. You should replace the smoke alarm at the end of the expiration period. Be sure you have smoke and carbon monoxide detectors in all sensitive locations as determined by local building codes and the alarm manufacturer. Common locations are inside bedrooms and hallways outside bedroom, as well as the top of stairways at every level. 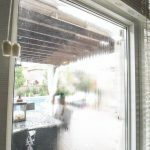 If your windows are no blame for condensation– not a ventilation or moisture issue — there are some sure signs they need to be replaced: 1) Frost and condensation are a constant issue. 2) It’s noticeably colder in the area of the window. 3) You can see mold or decay around the windowsill or frame…. 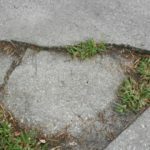 Copyright © 2019 Insight Home Inspection Inc.. All rights reserved.